This is the 2nd Nikkor Lens that I get to touch. :). 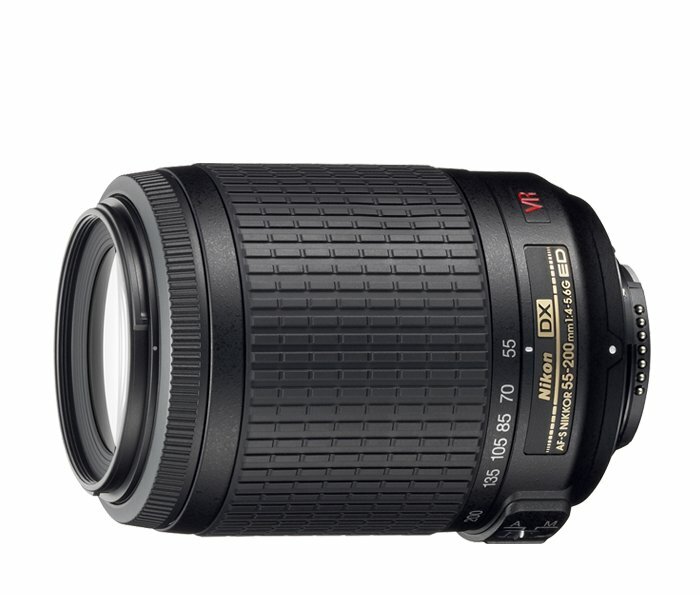 The Nikkor AF-S DX VR 55-200mm F4.0-F5.6G IF-ED looks intimidating when I first saw it. Part of Nikon’s low end lenses made for the consumer market, this lens was really designed and manufactured to pair with the 18-55mm as the "second tier" telelphoto zoom. We understand this lens came with the D60 & AF-S DX 18-55mm VR as a 2 lenses kit package. Launch at the same time (2007) with the 18-55mm brother, this larger kit lens covers a good medium telephoto range. And probably every other brand is doing the same? Canon has got an equivalent (EF 55-200mm F4-5.6 USM) while 3rd party manufacturers came out with Tamron AF 55-200 F4-5.6 Di II LD & Sigma 55-200mm f/4-5.6 DC HSM. At that point of time, 55-200mm was the rage. Among Nikon, Canon, Tamron & Sigma being the most talked-about 55-200mm lenses at that time, Nikon & Sigma emerged as the winners for the better built quality, better design and excellent image quality. Nikon incorporated their proprietory Silent Wave Motor (SWM) while Sigma added their Hyper Sonic Motor (HSM) for super fast focusing and near-silent operation. Canon has their Ultrasonic Motor (USM) in place, however, users had complained about the noisy operation and average focusing speed. Apart from these negatives noted, image quality is excellent. Tamron probably lost due to its lens built quality. Tamron’s version looks sophisticated (at that point of time – go Google for it), but feels like a toy when handled. "Filmsy" was the best description I can think of. I almost thought I was holding some SLR Lens when I played with a fellow photographer’s unit. Image quality from the Tamron is average. On InfraRed Photography (IR), Nikkor AF-S DX VR 55-200mm F4.0-F5.6G IF-ED is really at home. I’ve gotten super sharp IR photos using this lens with ZERO hotspots at all focal range and apeture stops. Not sure if it is just me, I also noticed the IR Colors from this lens is better than the AF-S DX 18-55mm. Please let me know if you feel the same. The focal range of this lens is also great for portraits, be it IR or normal photos, DX 55mm (83mm after corresponding increase x1.5 for DX) makes it a very good and cheap portrait lens. This is like the super-budget Nikkor 70-200mm or 85mm for FX (Full Frame Bodies). If you own a DX, get this lens. – Lens Hood HB-37 (Sold separately). – Excellent Lens for Infra-red Photography (IR). – AF Runs on Fast & Silent Wave Motor (SWM). – Focal Range when used on Nikon bodies with smaller APS-C sensors – 82.8-300mm. – Designed & Built to pair with the AF-S DX 18-55mm Kit lens. – Good Portrait to Medium Telephoto range when used on my D60 & D70-IR. – Tough & Solid Built. – Larger than Sony or Canon’s equivalent. – Good picture quality from a Cheap Zoom Lens. – SWM provides a quiet and fast focusing. – Nice Zoom Ring – good to touch & use. – Weird Design again (Big Body small head). – Hood not included in package. – No Distance Scale Meter. 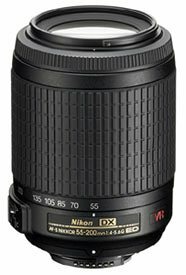 This entry was posted in Brand: Nikon and tagged DSLR, Lens, Nikkor, Nikon. Bookmark the permalink.